Capt. 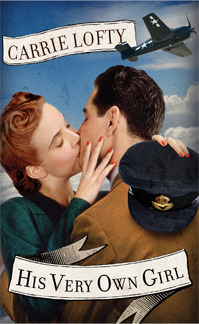 Lulu Davies, the heroine of my World War II historical romance His Very Own Girl, is British civilian pilot. As fit fighting men in the Allied countries joined the armed forces, women took increasingly prominent roles in the work place. That meant some flew planes. The Air Transport Auxiliary in the UK employed men who were missing limbs, missing eyes–but who could still ferry repaired, new, and reserve aircraft to where they were needed all over the UK. Eventually, as ATA pilots began to transport troops and provide field ambulance flights, even these men did not meet demand. The ATA quickly opened their rolls to women. One in eight ATA pilots were women, and 15 lost their lives during the war. The ATA became the first organization within the British government to authorize equal pay for equal work, and thereby attracted women from around the world to participate. Pilots began with single-engine aircraft and worked their way up to larger, more difficult planes, including massive four-engine bombers. Together with the men, they delivered over 300,000 aircraft to their destinations. 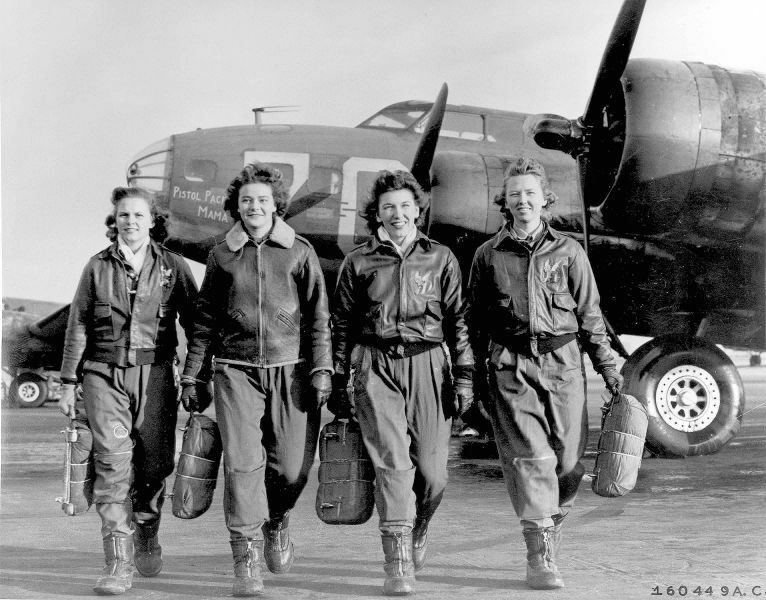 In the US, a similar civilian ferrying system was established in 1942, called the Women Airforce Service Pilots, or WASPs. They received as little as 35% of the pay men received, yet they handled over 50% of aircraft ferried in the USA. Their duties were expanded to more dangerous roles, such as towing targets for aerial gunnery practice. Some women went on to become flight instructors. After delivering 12,650 aircraft, the WASPs were disbanded in December of 1944. Although 38 WASPs died in service to their country, records of the entire organization were sealed for 35 years. It wasn’t until the Carter Administration that they were awarded full military benefits and honors. Here, Lulu faces male chauvinism even as she’s trying to save lives. She returned her gaze to the slate gray sky beyond the punctured window. Cold February air blew against her face. Although her responsibility to a plane full of wounded soldiers and nurses banged against her senses, she blocked them out. Every instinct narrowed on a single goal: survival. Two more German Messerschmitts jumped out of the thick winter clouds and sideswiped the plane. Four in all. Gunfire sprayed just off starboard. They’re bloody toying with me. I like to think that in a small way, His Very Own Girl and its intrepid heroine, Lulu, will open readers’ eyes about these women flyers and the immense contribution they made to the Allied war effort! I’d like to give away a digital copy of HIS VERY OWN GIRL in any format. Just answer the question: Where would you most like to fly, and why? Hopefully not while evading enemy aircraft! Thanks again to The Book Pushers for featuring His Very Own Girl! The giveaway will end on Saturday the 15th of September – Good luck! I’d live to fly to Egypt. 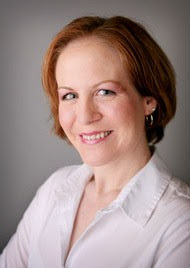 After devouring every Elizabeth Peters book, I would dearly love to see the pyramids and souks myself. My husband was in the Navy Reserve in a P-e squadron when he got out of the Navy during Vietnam and I always wanted to fly with him when he used to go to Spain and then “keep watch” over the Straits of Gibralter! Whenever he would try to describe to me the different ships (and Russian submarines) they would track through the Straits and in fact one time he actually got a picture of the Russian submarine that later went down off the coast of Norway! Because my only of experiencing looking for submarines or like during the first Iraw war when he was cruising along the eastern seaboard looking for scud missles I can only imagine the tension inside the P-3! Most people only know about this aircraft because they’ve read the book by Tom Clancy “Hunt for Red October” or seen the movie but my experience is from hearing first hand what the crewmen go throught. He retired from the Reserves several years ago but I’ll always wonder what it would be like to be on the aircraft with him! I’d like to fly all over the United States, especially over the Grand Canyon and the Western shore from California to Washington, because it there would be such beautiful scenery to be seen from the air. I think being a pilot in Alaska would be cool too, because there are places that are only accessible by air during much of the year and you would be providing a vital service. I would love to fly the space shuttle and travel in space. I would be able to watch the sunrise and sunset from space (the view is spectacular especially from space via satellite). It would be so out of this world to see it in person. I would like to fly to Europe and see England, Germany, Ireland and Scotland. I have never been and there are so many sites I have only seen in pictures. Id love to see Ireland, Scotland and Egypt. This sounds great!! Id love to read it! Thanks for sharing and for the great giveaway! Thanks to everyone for stopping by and offering your stories and hopes. I want to just about anywhere! I love flying, although my husband gets grumpy about the crowds and actual time on the plane. Isn’t that half the fun? I hope you enjoy HIS VERY OWN GIRL. It’s such a personal story for me, one of those rare labor’s of love an author is occasionally allowed to indulge. Your curiosity and enthusiasm means the world to me! I’d love to fly to Paris, my dream destination. Thanks for the chance to win your new book. I love this era and your books!